Obituary for Mary R Currie | L.E. Black, Phillips & Holden Funeral Home Inc.
Services will be 11:00a.m. Friday March 29, 2019, at Mt. Calvary Pentecostal Church, 1812 Oak Hill Ave. in Youngstown, Ohio 44507, for Mrs. Mary “Rena” Currie who transcended to her Heavenly home on March 20, 2019 at Gillette Nursing Home. Mary affectionately known as “Rena” was born December 2, 1931 in Warren a daughter of Sye and Eliza Brogdon Bassord. She was a 1949 graduate of Warren G. Harding High School. She had been employed by the Trumbull County Country Club as a cook, and worked for Delphi Packard as an assembler for ten years, and started her own Catering Company Renae’s Catering. She was a faithful member of Mt. Calvary Pentecostal Church and loved cooking, baking and her family dearly. 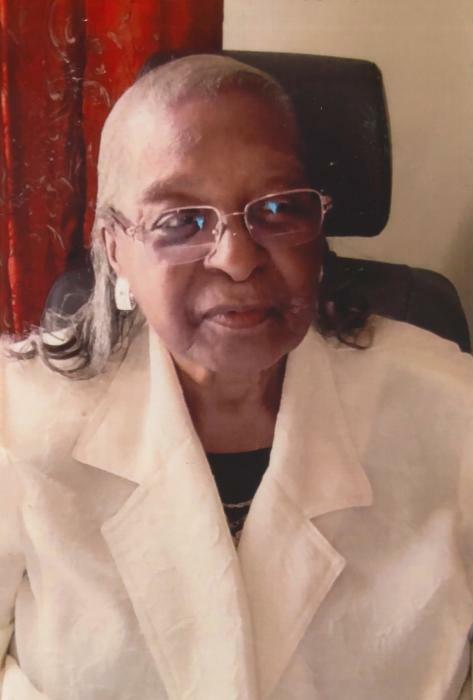 She leaves to cherish her memory and continue her legacy, her children, Ellen “Lucy” Harris-Brooks, Timothy Wayne Harris Sr. and Crystal Scott with whom she made her home all of Warren; 8 grandchildren and a host of great-grandchildren, nieces, nephews other relatives and friends. Besides her parents, she was preceded in death by her first husband Jessie Harris and her second husband William Currie; a son Kevin Wayne Harris; a daughter Pamela Harris; a sister Bertha Barber; a brother Rev. Sam Bassord. Friends may call one hour prior to the services 10:00-11:00am at the church. Arrangements were entrusted to L.E. Black, Phillips and Holden Funeral Home, 1951 McGuffey Road Youngstown, Ohio.